I all but gave up on Pinterest because the envy was driving me nuts. Poor Pinterest; when it comes to jealousy, nothing bears the brunt of the modern woman’s blame quite like it. But even without the daily dose of magazine-worthy homes and impossibly stylish wardrobes to trap me, you can be sure I find plenty of material elsewhere. On Instagram, I see the whimsical liturgical celebrations that my own kids were totally deprived of. On Facebook, a fellow writer has had a piece published at a prestigious outlet. In my “real life,” my friend’s new home taunts me with its flawless layout and unchipped paint. When I reflect on why jealousy, comparison, and selfish ambition grieve the heart of God, it quickly becomes clear that these things turn my focus away from adoration of our Lord and back onto myself. My lust for what another has reflects how very much my existence revolves around me. It’s gross really, to think of how much energy I spend thinking about what others have rather than what Jesus is trying to do in and through me. We must realize that jealousy is not the little minor sin we’d like to tell ourselves it is. The green monster looks nothing like the humble and service-oriented life Christ calls us to and will only lead us further away from it. Today, Saint James reminds us that, “where jealousy and selfish ambition exist, there is disorder and every foul practice.” (James 3:16) When we let ourselves go down those roads, we are actually creating disorder in God’s design for the world. Our jealousy disturbs God’s beautiful order and causes us to question His goodness. Our jealousy disturbs God’s beautiful order and causes us to question His goodness. Friends, let’s repent today of this darkness in our hearts and ask the Holy Spirit to come sweeping in with light. 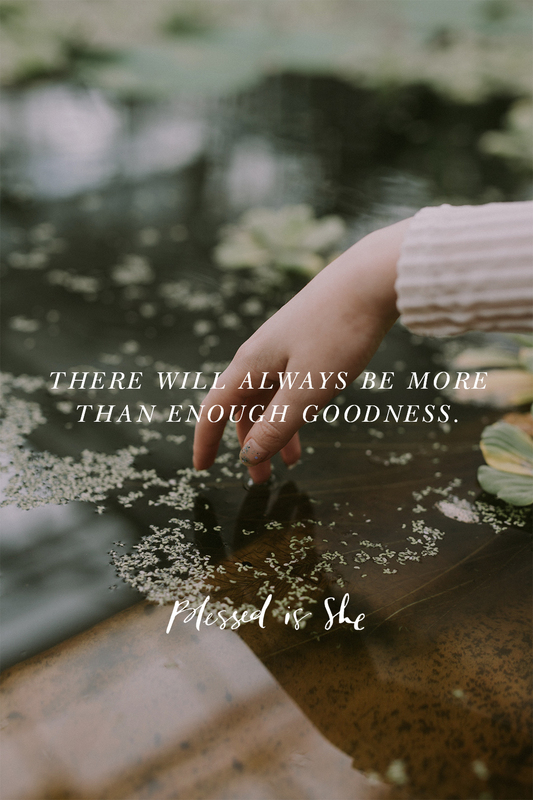 Let’s vow to celebrate with others—committing to be one another’s biggest cheerleaders—and to be kind to ourselves, trusting that in the kingdom of God, there will always be more than enough goodness to go around. Shannon Evans is a Protestant missionary turned Catholic convert who lived to tell the tale. She is a writer, podcaster, and speaker, but potty training four boys will be the achievement on her epitaph. Shannon and her family make their home in central Iowa, where they seek to live out the social teachings of the Church in their small and ordinary days. You can find out more about her here. Next Post Have You Exhausted Your Lovers?